When widowed single mother Lisa Grey meets wealthy businessman Elias York, romance blossoms. Alas, she is marrying into a complicated family. Her new sister-in-law doesn't want to know her, middle brother Gabriel's marriage flounders under a cloud of infidelity and gambling debts, while the youngest, Richard, keeps his dark secrets well hidden—and his wife suffers in silence. 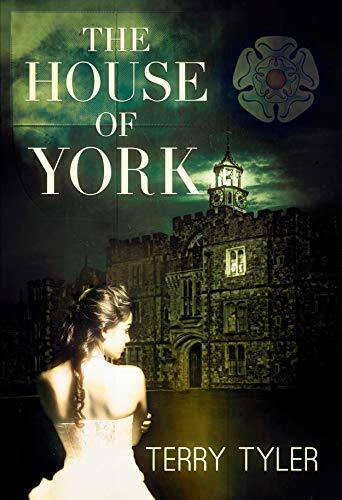 Lisa and her mother are bonded by a powerful intuition, but on some subjects they dare not voice their fears; neither can explain the terror Lisa feels whenever she walks through the doors of the ancient, imposing York Towers. Love and loss, abduction, incestuous desires and murderous intent form the basis of this compelling saga in which horrors float just beneath the surface, culminating in a shocking outcome. The House of York spans the years 1993 - 2014; history lovers may be interested to know that the story is inspired by events from the era of the Wars of the Roses. 'Anyone else who is a fan of Penny Vincenzi type family saga series will no doubt enjoy this book as much as I did' - Mrs Bloggs book blog. 'Compelling, engaging and a writing style that flows. One for your wishlists' - Shaz Goodwin, Jera's Jamboree book blog. 'I can’t believe it’s taken me this long to discover Terry Tyler – what a great author!' - Emma B book blog.